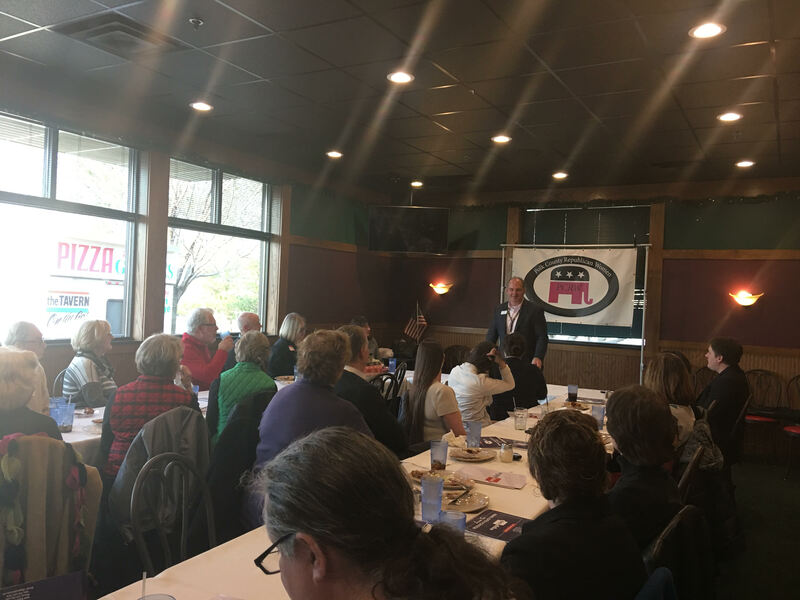 Mayor Ron Corbett of Cedar Rapids spoke to the Polk County Republican Women on Thursday. His message was that he wants Iowans to be a place that can raise people who stay Iowans. In addition to his role in local government, Corbett is the founder and President of Engage Iowa, a conservative think tank that focuses on economic policy and solutions to water quality issues. Before that, Corbett was the former Speaker of the Iowa House. He then became the CEO and President of the Cedar Rapids Chamber of Commerce. Mayor Corbett said that the first goal of Engage Iowa was to examine income tax structure. Looking ahead, Mayor Corbett said that Engage Iowa plans to release an education report in April. He concluded by talking about the importance of working together to accomplish policy goals using the 2008 and 2016 floods in Cedar Rapids as an example of how individuals working together in a community can make a positive difference. Polk County Republican Women President Cheryl Weisheit thanked the Mayor of Iowa’s second biggest city for attending their forum which was attended by about 30-40 people. She reminded them of their next event on April 20th with Matt Whitaker. MacKenzie Dreeszen is a legislative assistant and a political consultant specializing in fundraising.